Harvey Silverstein has a special interest and expertise in helping organizations plan, change, and cope with the impacts of new technologies. His last major assignment was as Dean of Business and Information Technology to help launch Meritus University in Fredericton, New Brunswick. Previously, Harvey was the Executive Director for the EMBA and Executive Education at the Sobey School of Business at Saint Mary’s University. His twenty five years of professional management consultant experience in Atlantic Canada have included developing and managing regional consulting practices as a Partner for two of the largest professional firms in Canada (KPMG and Ernst & Young) as well as successfully operating his own practice. He has successfully exported services as well and carried out business with clients in the United States, Europe, and in the Mediterranean and was a founding member of the Nova Scotia/PEI Chapter of the Canadian Export Association as well as the Nova Scotia Trade Council. Dr. Silverstein was a Professor of Science, Technology, and International Affairs at Dalhousie University and the University of South Carolina prior to entering business. His expertise includes an unusual combination of computer and telecommunications technology, interpersonal communications, energy technologies, and organizational change. He has not only advised other companies and organizations but has been a founding partner of two high-tech companies (Hypertechnologies Canada Ltd. and Concentrics Communications Canada) as well as the Atlantica Learning Corporation which have demonstrated commercial success. 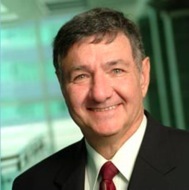 Harvey was also instrumental in the creation of the Telecommunications Research Applications Alliance (TARA) devoted to the development of telecom/computer enterprises. He has a particular interest and done considerable research in the implications and applications of hydrogen energy systems as well as in the delivery of medical care. His clients have included several Federal and Provincial government departments, industry associations, and private companies where he has directed large and small projects in organizational change, strategic planning, and the international assessment and transfer of technology. Harvey has completed his Ph.D. and M.A. Degrees in Science, Technology, and International Affairs from the Graduate School of International Studies at the University of Denver and his M.B.A. from St. Mary’s University. He has held fellowships specializing in technology and organizations at Harvard, M.I.T., Woods Hole Oceanographic Institution, and the National Aeronautics and Space Administration. He has recently served as a board member of the Canadian Centre for Ethics and Public Affairs (CCEPA), and both the Leadership Institute and the Centre for Spirituality and the Workplace at the Saint Mary’s University Sobey School of Business. He has participated as a board member for many organizations – both nationally and regionally including the National Advisory Board of both the National Technology Network and the Industrial Research Advisory Program (IRAP) of the National Research Council (NRC), the Advisory Board of the Jodrey School of Computer Science at Acadia University, TARA — Telecommunications Applications Research Alliance — a telecom business R&D Centre founded by Nortel and MT&T (now Aliant). He has also served on the Management Board of the Nova Scotia Hospital, Board of Directors of InnovatioNS Magazine, Software Industry Association of Nova Scotia, Information Technology Association of Nova Scotia, Trade Council of Nova Scotia, Nova Scotia/P.E.I. Chapter of the Canadian Exporters Association, Neptune Theater, Mount St. Vincent University Business Program, School of Computer Science — Technical University of Nova Scotia, Ashburn Golf Club, and the Canadian Mental Health Association. The Beta Gamma Prototype of the Kinley Dual Mirror System was successful in producing steam that ran a small Steam Engine on the 2nd of August 2009. The Prometheus Team had set out to test a new receiver that was developed to produce steam at greater efficiency. It wasn't long after the Sun's rays hit the receiver that steam came rushing out the discharge. Connecting the steam line to a model steam engine the Team showed how easy mechanical energy could be created using the Prometheus Technology. To read more on Steam Generation click here.